The newest release from the Midleton Distillery and the latest addition to the Midleton Very Rare collection. The long awaited Irish blended whiskey is as luxurious and delicious as ever. Nose Hints of pears, oranges and citrus fruits give way to familiar pot still spice with just a hint of toasted oak. Palate Smooth and creamy upfront with touches of vanilla, dried citrus peel, cinnamon and cloves. The finish is warm and delicately spiced with subtle tannins. 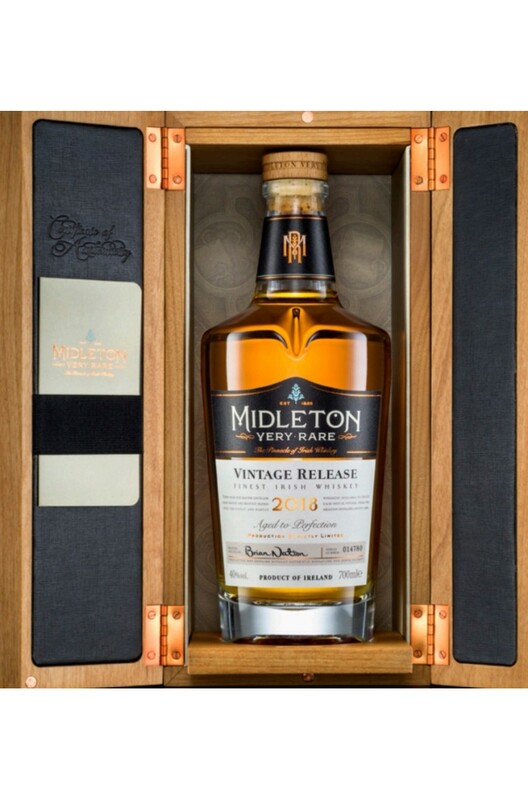 The 2016 vintage of Midleton Very Rare effortlessly combines smoothness with some really nice, old p.. The last of the old style packaging Midleton Very Rare series. This was only released in certain mar.. The long awaited new Midleton release for 2017 with all new packaging and a new bottle shape. The bo..
***Availble Monday January 28th- Pre Order Now! *** The rebranded Midleton Barry Crockett Legacy i..
A meeting of Irish icons, Ashford Castle's collaboration with Midleton Distillery offers the ult..